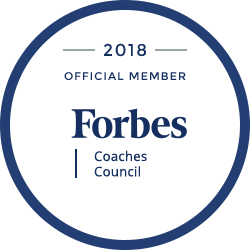 In Boston, MA more and more companies are finding that executive coaching is the tool they have been looking for, saving time and money and getting real results. TurnKey Coaching Solutions has the resources and experience to help your top executives get the guidance they need in specific areas and feel supported. When planning your future company goals and implementing them it is important to have your executive leaders feeling confident and comfortable in their roles. Their confidence inspires those around them and creates an atmosphere of harmony and motivation. Executive Coaching in Boston, MA Can Help Create a More Engaged and Healthy Workplace. “Claffey said the findings suggest Boston companies are more focused on creating engaged and healthy workplaces. Rather than sitting in an “ivory tower,” he said, leaders are in tune with employees and communicate the direction of the company. Workers feel confident in their own futures and in turn put more into work. We provide professional, executive coaching and leadership development coaching for senior leaders, mid-managers, emerging leaders and teams, in Boston. Companies in Boston, Massachusetts, have reported as much as a 529% ROI and significant intangible benefits working with TurnKey Coaching Solutions to deliver their executive coaching, leadership development training and coaching programs. Seeing your business come alive when you engage your senior leadership team, your high-potential employees, and even your middle-managers in a leadership development coaching program is well worth the time and money invested. Boston area businesses are already seeing the difference that executive development and targeted leadership coaching and training makes. Using skilled professional coaches to develop already existing leadership competencies and by tracking the company’s objectives with the coachee’s progress we help maximize your training and development investment needed for success. Regular reports are provided to the company with (non-confidential information only), which support our clients in ensuring they receive the highest return on their investment. We use the most advanced, proven practices in executive coaching, leadership development and training strategies, and customize your program to be aligned with your company’s objectives and unique culture. Our individualized approach to coaching and training has been shown to work because we focus on specific leadership competencies and opportunities for growth on a case-by-case basis. We do not engage in generic, one-size-fits-all programs. Your program and each leader’s coaching engagement is designed to take into consideration not only the leader’s unique personality, and strengths but also areas needing improvement, which is the company’s reason for engaging in a coaching program in the first place. Our corporate coaching programs are about producing the results you’re hiring us to support. "Leadership is a vital skill set in this competitive global economy. Yet many of today’s most influential leaders still aren’t optimizing their skills and performance." »Read more about our custom tailored executive coaching programs for large, global enterprises as well as smaller corporations. » Create a collaborative, cohesive team with The Five Behaviors of a Cohesive Team™ Leadership Team Development Program. »High potentials programs and trainings. Our high-potential coaching programs (also known as emerging leader programs) include an individualized approach to coaching and training, which has been proven effective within Fortune 500 companies. Our high-potential coaching methods focus on your star employees’ current needs for their next level promotion. By identifying where your emerging leader is and where they need to be in your leadership pipeline, we coach them to be prepared to take on their next-level assignment. Whether that’s people managing, or mid-level management or even a senior leadership role, each stage of leadership requires a different level of capability. Managing people is a very different skill set than managing work. This is an important leadership passage that is simply missed by many leaders, even in senior roles. Many high-potential employees really need coaching to support them in understanding the difference and how developing people skills ensure less friction in the workplace and increases productivity. and many others, which will be identified during our initial competency, gap identification process for each coaching program engagement. In the last 20 years, city employment continued to shift from traditional labor intensive manufacturing jobs to technology and service jobs. The economy of metropolitan Boston now primarily rests on high technology, finance, professional and business services, defense, and educational and medical institutions. The city's economy is more specialized in the financial, business and professional services and educational and medical sectors than the suburban economy, which is more specialized in high technology and the defense industry.